Walnut Creek short sale sold in the desirable Wayside Plaza Community. This one located at 3193 Wayside Plaza, right next to Pleasant Hill BART. This was a nice condo with 1 bedroom, 1 bath, 720 square feet. Listed this property on the market for $140,000. 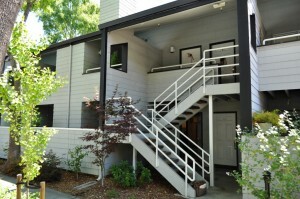 This Walnut Creek short sale had a Wells Fargo first mortgage on it. We also had about $15,000 in delinquent HOA dues that the seller had not paid. We were able to put a deal together where the buyer came in, we were able to settle out the second on the HOA due and able to have the buyer pay a very small portion of that. Get the seller released of those HOA dues, as well as be able to get the buyer in there at probably about $30,000 under market value. Those units, comps, are going for about $180,000 or $190,000 right now. We were able to get the buyer in at $155,000, closed. If you are in the Walnut Creek area, if you are thinking about doing a short sale, we can certainly help you. Even if you have delinquent HOA dues, it doesn’t make a difference. In this case, we were actually able to get the seller, who was an investor on this Walnut Creek short sale, $3,000 from their lender to do the short sale, even on a non-owner-occupied property. Again, that’s something that definitely is helpful to the seller to be able to get them released of all the liability on the property and be able to get them some cash at closing.